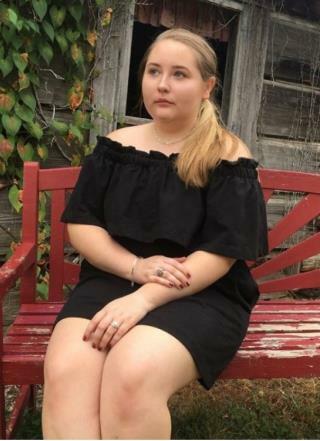 (Newser) – A Missouri teen who fell ill after a family vacation has gone blind and lost her sense of smell and taste—and doctors are still asking why, People reports. KMBC reports Jordyn Walker had annually experienced stomach pain that she treated with medication, but her real trouble began after returning home from the 2017 cruise, when in addition to that pain she started bleeding from her nose and ears and lost her sense of taste and smell. Her family took her to doctors in North Carolina. "We went to every specialty—allergy, immunology, rheumatology—every specialty, with no answers," says her mother, Kendyll Walker. "We were searching and were told it was a one in a million case and probably would never happen again." Told it was likely a sinus infection, the family returned home and the symptoms eased—temporarily. Next on Newser: Manhattan Home Prices Fall Under $1M—but Why? I am a RN/BSN with a Masters in Science. I had something similar but not to the extent of Miss Walker. The swelling is better at this time one of the diagnosis we came up with is cavernous sinus thrombosis. This fits most of the symptoms displayed and discussed in this presentation. Wishing all the best for this young lady and her family. "annually had stomach pains..."..annually means once a year. Really??! Autoimmune condition? That have no idea what's wrong with her. Poor kid.